Microsoft pre-announced the Xbox One X, then known as Project Scorpio, at E3 2016. One year later, the console’s name, design, and price were revealed earlier this week. The latter ($/€499, £449 in the United Kingdom) has been a talking point among gamers ever since Microsoft’s briefing, particularly since it’s poised to make it harder for the Xbox One X to catch up in any way with PlayStation 4 Pro sitting at a comfortable $/€ 399 price. 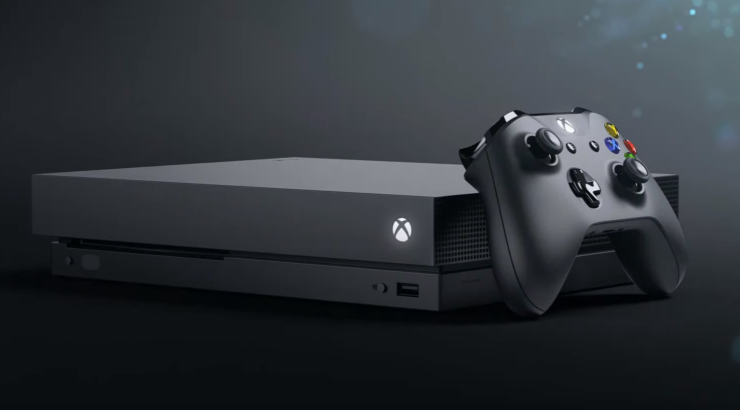 In an interview conducted by Polygon at E3 2017, Microsoft’s Mike Ybarra (Corporate VP of Xbox and Windows Gaming) explained that the Xbox One X could have certainly been priced lower, but that would have compromised its target as a premium console. When we looked at the overall design, we could do less memory. We could do under-clocked components so we don’t have to have the cooling system that we have in here. There’s any number of things you could think of. I think if you start taking away some of those items, people will say, ‘Well, what were your goals?’ And that’s an area that we don’t want that confusion to exist. [at $399] we wouldn’t have been able to usher in 4K to the living room, and that was a design pillar for this box. There’s lots of goals in the program, from compatibility to everything. But one, let’s really usher in true 4K where developers don’t have to think about, ‘Wow, how do we stretch this and make it really work?’ We needed to deliver that to consumers. They asked us for uncompromised true 4K in the living room. And so we leveraged a lot of PC technology, from the cooling, the power management system that’s in this, to get it this small — while managing acoustics. That was the goal. What do you think, readers? Is $499 too much or perhaps Microsoft should have compromised a little to get a lower price point? Let us know in the comments.